Please donate today to help the Royal Irish Rugby team! Every donation helps our program. Thank you! Teaching boys to become men through the sport of Rugby. Inclusiveness, camaraderie, respect for the other team and the officials are fundamental values in our program. Our players come from different schools but develop a brotherhood-like bond. Players come chiefly from Cathedral and Bishop Chatard high schools but we welcome players from any high school in the Indianapolis and suburban areas without a rugby program. 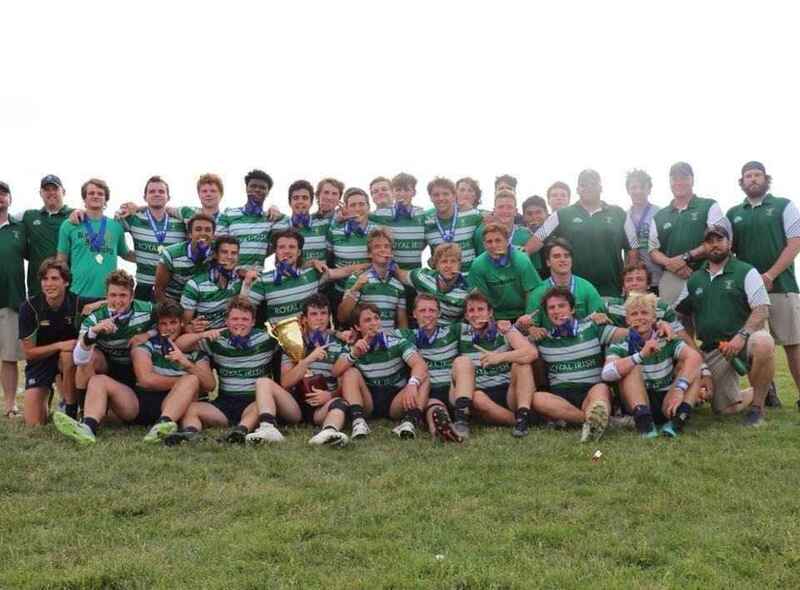 For 28 years, the Royal Irish rugby team has been one of the most successful high school programs in the country, with four National Championship titles: 2012, 2014, 2015 and 2017. In 2018, after a heart-stopping final, Royal Irish came in second place. In addition, the club won the Indiana State Championship thirteen times, including 2018, and the Midwest Championship for six years. Any gift you can give in support of our efforts is deeply appreciated. Thank you very much. It has been my pleasure to learn and grow from parents, coaches, and players in the pursuit to teach boys to become gentlemen through Rugby. Go Irish!